All of our components are housed in the NZXT H500 case. This case has a nice black finish, a large tempered glass side panel window, power supply shroud, room for enthusiast CPU coolers, watercooling radiators, two pre-installed case fans, and front panel USB3.0. thats all i can think of atm, just trying to share what ive learned recently! Genuinely interested to know what. Well for starters, saying that the Z390 board is cheap. He couldn't be anymore wrong. Assuming he's not talking about ASUS Prime Z390. How is the (extreme) overclocking on a rig like this, with aircooling and a I5 9600K? The AIO in this build ( as of 12/26/18 it is the Cooler Master - MasterLiquid ML240L ) is not exactly built for "Extreme Overclocking" but would be able to handle a quite decent overclock. Cooler Master lists the current AIO in this parts list to be able to cool 230W, whilst the I5 9600k has a base TDP of 95W. Toms hardware tested their I5 9600k @ 5ghz and found that it only pulled 179W - therefore if that is your target, you should be able to reach it with cooling capacity to spare. However as you should know; Overclocking voids your warranty and may damage your CPU and/or MoBo so if you go down that path know the consequences if something goes wrong. I take no responsibility if you damage any components by overclocking based on what I found with 10 minutes of googling. To find the toms hardware article that I found, simply look for their review of the i5 9600k. Can I air cool this instead of water cool? However, the 9600K is capable of overclocking and I would recommend using an AIO if you are planning on pulling any serious overclocks. If you don't plan on overclocking, don't get a 9600k as you have no reason to spend an upcharge for an unlocked processor. Get something like an 8700 instead, you get hyper-threading for multi-tasking for little more than the 9600k. Yes, I'm using a Cryorig H7 and my 9600k o/clocks happily to 4.5Ghz just using the mobo's auto settings with great temps. Is this build VR ready? Hi there, how does the RTX 2070 compare to the GTX 1080 from the previous build? New pc builder over here, trying to make sense of it all. They are roughly equal with a 5-10% performance gain on the 2070. Hi, I've decided to build this PC even though I've never built one before. Will I need to get thermal paste as well? I've purchased to the NZXT Kraken X62 for an i7 9700K. I'm not sure what the thermal paste pre-applied is like - can you recommend a good thermal paste? Get it. It's cheap and you won't be sorry you didn't have it. He's talking about the performance gain with Ray Tracing disabled. Ray tracing is buggy at the moment anyway. I've disabled it entirely on my RTX 2080. Damn, you built all that for 2 grand? https://au.pcpartpicker.com/list/pzHJGG Where DID i Go wrOng ? Will an i5 bottleneck a 2070? Nope, the new i5 CPUs are 6 cores, similar to the older i7 chips. The 9th gen I5s haven't shown any significant performance increase from the 8th gen, so getting the 8600k wouldn't impact perfromance and you can still save a buck. Also, the 8th gen I5s are also hexacores. Cost savings between an 8th gen and 9th is miniscule at best. Indeed, I got a 9600k for slightly less than a 8600k would have cost. Most 2070s are around $500 right now, actually. I would not recommend buying the $500 2070 RTXs as they tend to stop working within a few months and crash a lot. I may buy these parts. I'm new to pc building and you really helped me. Thanks! So how well does this PC handle games? Does it get good FPS? You will most likely be able to play most games such as Battlefield 5 and Black Ops 4 at around 100 FPS on high settings at 1080p and around 80 fps at 2K (1440p) on high settings. After all this is quite a high end build! Even at 1440p, 80 fps doesn't sound all that great. Especially since there's a GTX 2070 in there. I would expect better results. For all of these amazing parts the price seems to good to be true. Is it worth it to upgrade the CPU to an i7 or higher, or is that just unnecessary? This build would be considered mid range. So the prices sound about right. Hi there. This is almost the same as the build I'm starting at the moment. Please have a look and tell me if I can change something and make it better value for money https://uk.pcpartpicker.com/list/z6jR6s P.S I don't trust these AIO coolers and this is why I'm going for traditional one. You might want to consider swapping out that cpu cooler for a liquid cooler w/ a radiator. The temp savings are going to be noticeable and it should only run you about 30-40 more for a decent one. Also I would consider picking up a low priced HDD (Seagate and Hitachi make pretty decent drives for low cost) for bulk storage. The temperatures don't change that much. And he said he wants air coolers. Is this case silent compared to other cases with glass on the side? If you are truly concerned I recommend installing some sound dampening foam or going with one of bequiet's cases. Quite a lot, without streaming 200+ so with streaming maybe around 150+? The motherboard has a sticker right where I should put the thermal paste. Do we peel it off or leave it on? It does not appear to be a sticker that can easily be removed. I have heard the Gigabyte GeForce RTX 2070 has a track record of crashing. 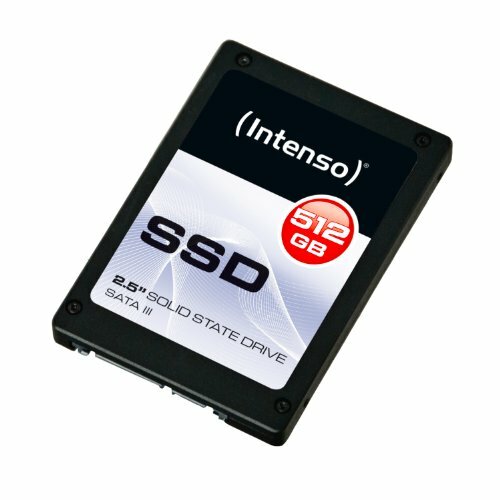 Does anyone have any experience with this card? 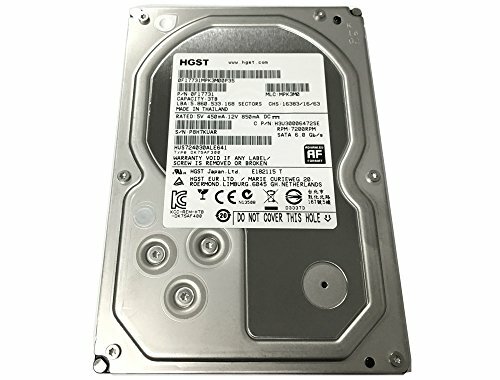 Will I be able to add three additional internal hard discs to this build. If not what would be necessary to do this? Wait, the motherboard you selected states it uses MEMORY TYPE DDR4-2133 / 2400 / 2666 but the RAM you have shown is 2800. Is that compatible?? This is similar to my build I'm planning out and I'm questioning if the differences would be worth it. I've been told liquid cooling can be hard to deal with, especially for first time builders so I didn't go that route but I'd be open to it if it's worth it. Why do you have a case with only one top exhaust port and a CPU cooler that demands a two part exhaust port?? That case doesn't seem to match your build. The cooler is mounted to the front of the case. I'm currently installing the above mentioned cooling system and motherboard, but the wire connecting from the turbine cooler requires a 3 pin location on the motherboard, and there doesn't seem to be one anywhere. Does anyone have any advice as to how I can remedy this? Please be aware I'm very new to this, thanks. you can plug in the 3 pin into the 4 pin one, just leaving the far right one out. How much does this PC cost with shipping costs?? Hi, I'm glad to find this, i think i will use it as guide for my upgrade. Currently have i5 6500 and EVGA GTX 1060 6G SX on a Asus B150. Got a couple of questions tho -Is keeping on i5 the best idea? Everytime I tell people I will upgrade they say "go for the highest i7 you can" -How noticeable is the upgrade in graphics going from the 1060 to a RTX 2070? "How noticeable is the upgrade in graphics going from the 1060 to a RTX 2070?" HUGE. I upgraded from a 1060 6Gb to an EVGA RTX 2070 XC Ultra and the differences are night and day. I run Ultra in every game now. It really is nice not having to worry about what the settings are. Just set to Ultra and play. Buy an 8th gen i5 like an 8600(k) and you will be happy. Where would you install the 240 mm radiator on the case? On the front. There's a 4-5cm gap for airflow through the bottom and the through top cracks. This is a negative-pressure designed case, i.e. the fans point outwards and air will find a way in through any available gap. I just bought and assembled this build but I'm dumb and there is no wifi? I don't get how to get wifi on this build, i have to buy a special m.2 wifi module that's only sold on US amazon? very confused please help. I would switch out the motherboard. You can't judge an entire company off one lemon. I do agree with the cooler issue, though. And I want to upgrade to the CPU and video card to the ones on this list but i dont know if it will work, yes i know i could use the filter but i just want to make sure and if i need to replace any other parts for it to work. Thanks :) (btw im only 12 so i dont know everything about computers but I know a some what decent amount) i also use fan cooling so yeah. would it run just as good as this build? Will this be good for a 144hz monitor? Is it specific 2070's. I got an MSI Gaming Z and now worried it'll crashed in a few months. Hi, I want to ask about the thermal management on the CPU. It seems like you have picked out the CPU and the GPU first as priorities, which I completely agree with, then you use the rest of the "Budget" on the rest of the components. I'm not sure how efficient or what the performance of the rest of the build compares to, but I question the performance of the CPU Cooling systems. Considering that it is still from a reliable-ish company, I still do not trust the Cooler since it is a Low - Mid end System. I question the reliability of this system, Please inform me. I use a Cooler Master MasterLiquid 240 on my 1600x and it stays under 60c under load, and its OVC to 4.25ghz. 32gb of ram is unnecessary. Windows is generally around 90-100 dollars. You install it via USB. NZXT's BLD service is also pretty good for pre-built systems as well. I figured out the Key thanks.I just finished assembled this build but I'm dumb and there is no wifi? I don't get how to get wifi on this build, i have to buy a special m.2 wifi module that's only sold on US amazon? very confused please help. There is something with this webpage and using it on iOS. You post, it appears on the page. You refresh then it disappears.